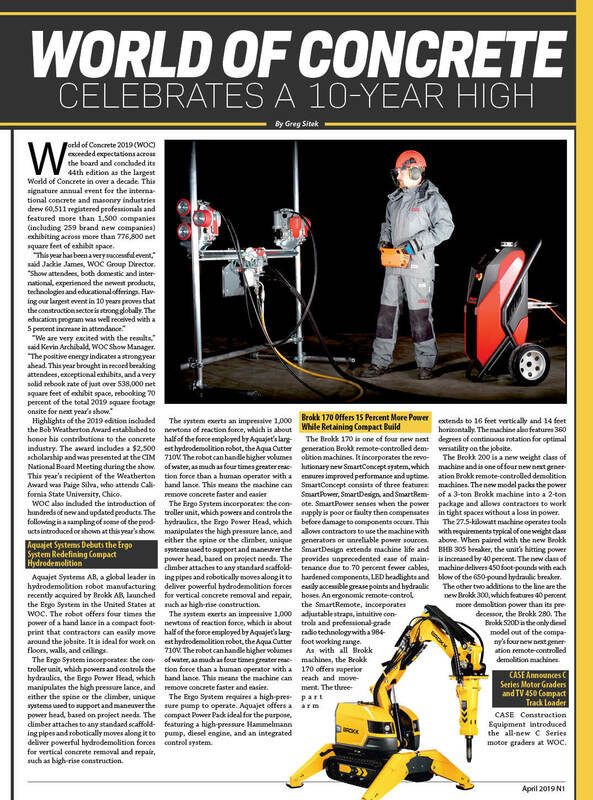 Published on October 9, 2017 in Daily Dirt, Equipment & Products and National. Closed Tags: concrete, construction, construction industry, contractors, excavators, Vacuum Lifting Technology, Vacuworx, White House. 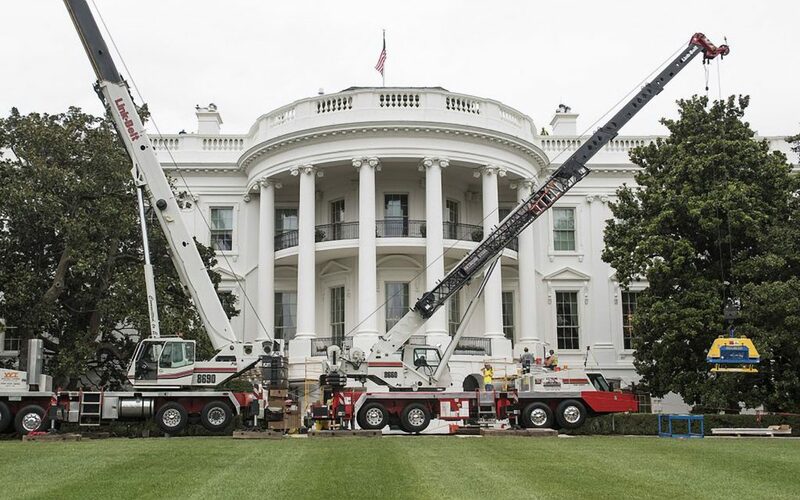 National Park Service cites safety and versatility among major considerations when deciding on concrete lifting system manufactured by Tulsa-based Vacuworx to handle recent renovation of South Portico stairways at the White House. Vacuworx MC 5 with custom pad assembly shown in front of White House South Portico steps. 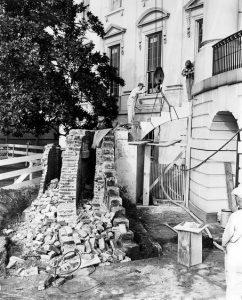 Vacuum lifting technology has made its way to the White House as part of the National Park Service’s historic renovation of the building’s South Portico steps. The $1 million project, which included dismantling Truman-era staircases and installing carefully selected cuts of Missouri limestone, was completed between August 5 and August 30, 2017. Jessica Gordon, an exhibits specialist with NPS’ Historic Preservation Training Center (HPTC), said a material handling solution that incorporated a Vacuworx MC Series Vacuum Lifting System proved advantageous as crews pulled two base stones weighing approximately 2,400 lb. each, and set a total of 46 new slabs. Each new South Portico step – there are 21 located on the east and 21 on the west – are approximately 10 in. long, 7 in. deep and 20 in. wide. The four new landing stones are 11 ft. long, 7 in. thick and 6 ft. wide. 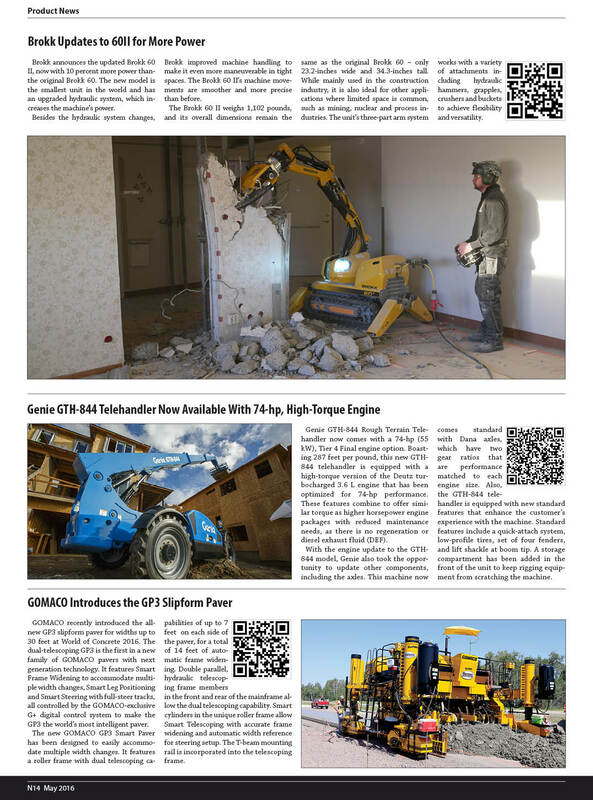 Gordon worked directly with Vacuworx to rent an MC 5 lifter and three custom pad assemblies. The carrier equipment was rented from Extreme Steel & Rigging, based in Warrenton, Virginia. The MC 5 operates using a self-contained diesel engine. When activated, the system pulls a vacuum between the pad and object to be lifted, providing a powerful positive seal. Eliminating the need for straps, Gordon noted, saved crews nearly 8 hours as she estimates that method would have required an additional 10 minutes per limestone step during the installation process. The application of vacuum lifting also mitigated the risk of chipping the top-grade material by prying on it with a bucket or fork, she said and curbed the possibility of damaging an adjacent patio on the South Lawn. 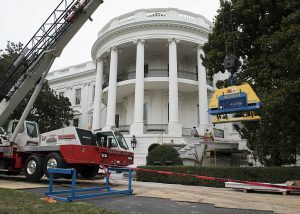 Using vacuum lifting technology during recent White House renovations is estimated to have saved crews nearly 8 hours and mitigated the risk of damage to materials. The timing of the South Portico project overlapped a remodel of 1600 Pennsylvania Avenue that was facilitated by NPS and the General Services Administration. The $3.4 million project was completed in August and included the replacement a 27-year-old HVAC system along with renovations of the Navy Mess kitchen, West Wing lower lobby, and IT system. According to the White House, these renovation plans had been approved by the previous administration. The NPS’ Frederick, Maryland-based Historic Preservation Training Center focuses on maintaining and preserving icons of historical and cultural significance throughout the United States. Gordon said that the agency handles about 35 to 40 projects a year, among its three divisions: Masonry, Woodcrafting and Carpentry. The scope of its masonry work includes 10 to 15 jobs a year, she said, with the typical project cost ranging between an estimated $50,000 and $400,000. According to Gordon, “Our work is project-based, so the rental option works well for us. Versatility is a major consideration.” Vacuworx Vacuum Lifting Systems were also used by NPS to help rehabilitate the steps that guide visitors to a memorial building at Abraham Lincoln Birthplace National Historical Park in Hodgenville, Kentucky. The upper part of the steps on the west side of the South Portico being removed by workmen—January 10, 1950. 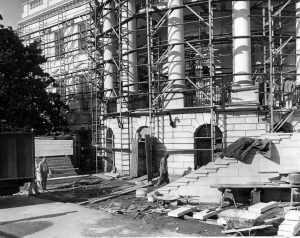 New steps of the South Portico being erected during a White House Renovation—January 4, 1952. 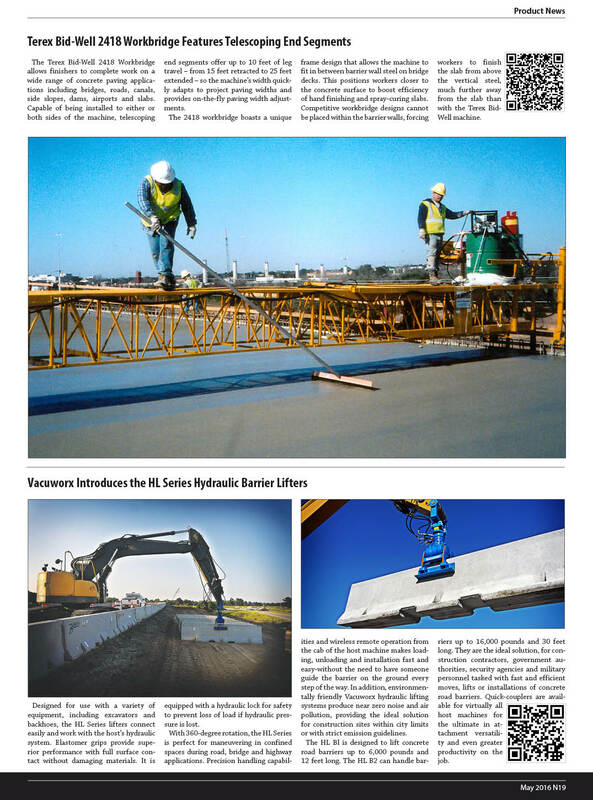 Founded in 1999 in Tulsa, Oklahoma, Vacuworx engineers and manufactures innovative heavy-duty material handling equipment for the oil and gas, water and sewer, highway and heavy construction, concrete construction, landscaping, and manufacturing industries worldwide. Vacuworx Vacuum and Hydraulic Lifting Systems can be customized for many applications and lift capacities. Standard models lift a variety of materials including steel pipe (including most types of coating), plastic pipe (PVC, fiberglass, long flexible pipe), ductile iron pipe, concrete pipe, pre-cast concrete slabs, pre-cast concrete culverts, concrete road barriers, saw cut concrete (demolition or rehabilitation), landscape pavers, steel plate and piling and road plate. 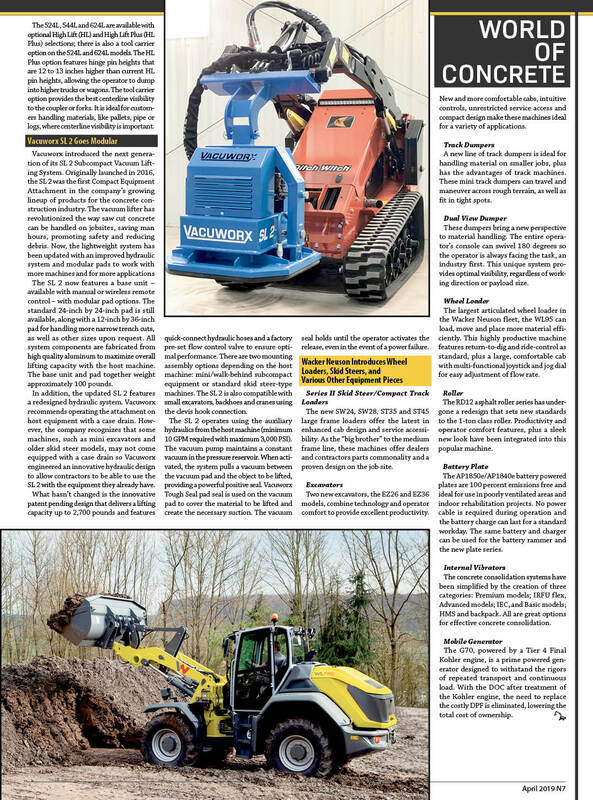 Lifters can be attached to hydraulic excavators and backhoes (with or without a coupler system), wheel or track type loaders, cranes, pipe layers, skid steers, forklifts and knuckle booms and can also be mounted on a variety of in-plant applications. Vacuworx maintains a global inventory available for purchase or rental. Parts, service and technical support are available 24/7/365 for installation, training, repairs, and troubleshooting. 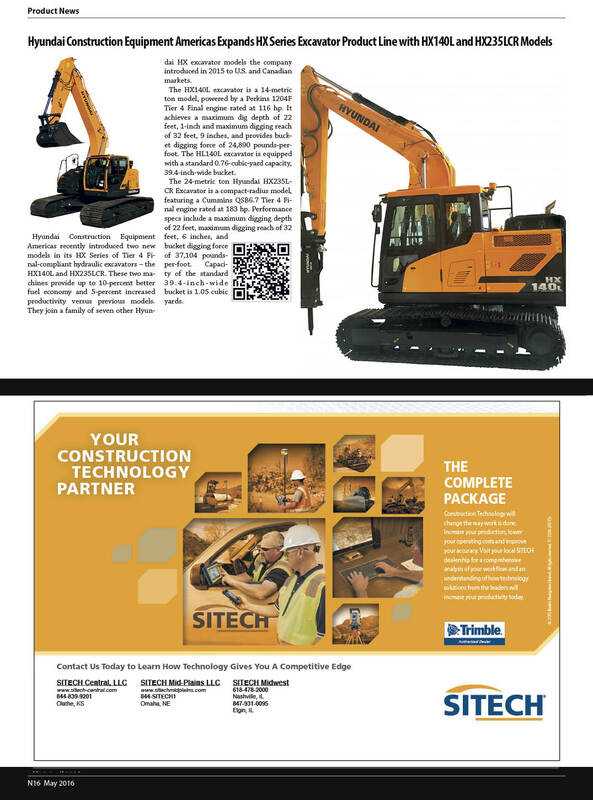 Published on June 3, 2016 in Daily Dirt, Equipment & Products and National. Closed Tags: Broke, concrete, construction, construction industry, contractors, equipment, Genie, heavy equipment, Hyundai, infrastructure, Interstate Highway System, jobs, pavement, roads, safety, Terex Bid-Well, transportation, Vacuworx. 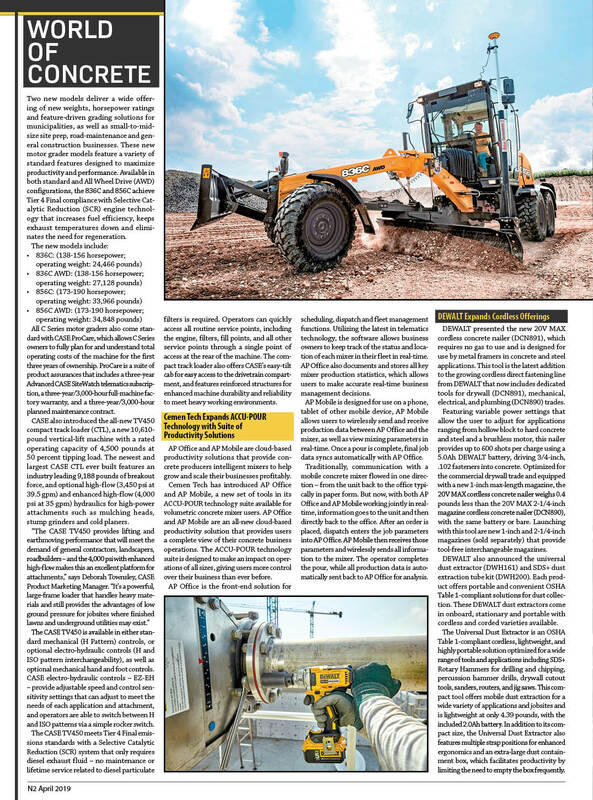 Published on May 9, 2012 in Daily Dirt, Midwest Contractor and Western Builder. Closed Tags: construction, construction industry, contractors, Vacuworx, Vacuworx Dealer. Vacuworx is pleased to announce their new partnership with Titan Machinery, a trusted name in the construction equipment and agriculture machinery industries with over 90 North American dealerships. Titan Machinery, based in Fargo, North Dakota, is now carrying Vacuworx’s line of vacuum lifting machines in three North Dakota locations; Bismarck, Williston, and Dickinson. At these locations, Vacuworx equipment is offered to customers, providing a cost-effective solution to general, pipeline, and utility contractors. Vacuworx lifters are unique in that they can lift and transport all diameters of coated and non-coated pipe in a safely and efficiently. Extremely versatile, Vacuworx equipment is used in pipeline, water, and sewage industries, as well as additional construction and material handling applications. Vacuworx equipment will have a strong presence in Titan Dealerships in western North Dakota, to supply handling equipment for pipeline work that is common in that area of the country. 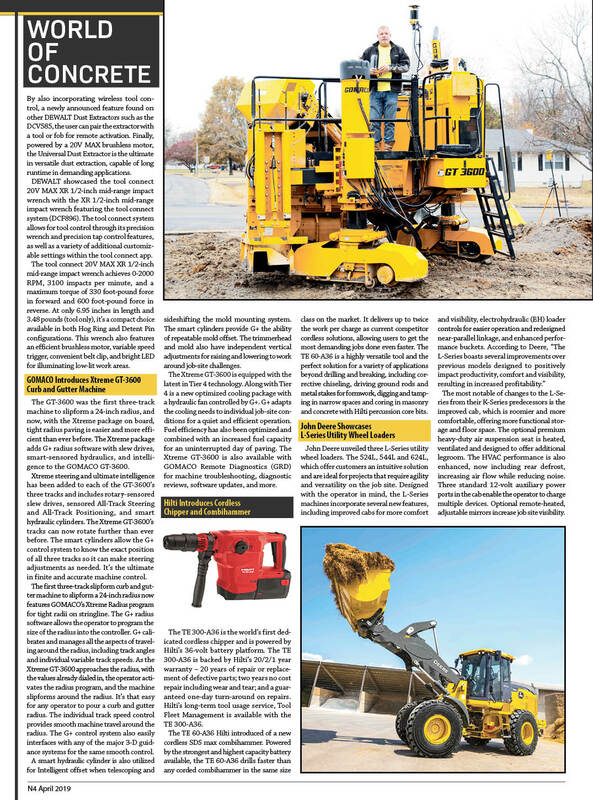 Providing a safe and efficient solution for their customers has been an important factor for Titan Machinery in the decision to carry the Vacuworx line. “Vacuworx is an awesome tool, and has been very good for us and for our customers,” Hall continues. An electronic ignition, a remote control operating system and a vacuum reservoir beam that doubles as a spreader bar are standard components of Vacuworx RC lifters, which will allow Titan Machinery’s customers to safely maneuver materials with fewer workers, reducing exposure to accidents. Titan Machinery is headquartered at 644 East Beaton Drive, West Fargo, ND 58078. Titan Machinery can be reached at (701) 356-0130 or by visiting their website at www.titanmachinery.com.